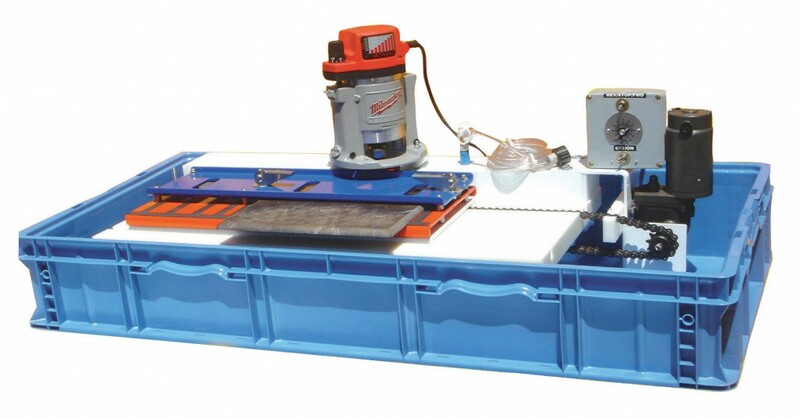 The best value answer to doing more tile volume, more consistently and more precisely. Automatically profile and finish granite, marble and porcelain tile ¼” to ¾” thick and up to 24” in length. A 115V/60Hz/50Amp circuit is required.